Bajaj is a Mumbai-based conglomerate involved in multiple ventures, one of them being home electrical appliances. These include fans that expel air from a room or exhaust fans. Bajaj exhaust fans are functional appliances to have at home as much as any other appliance to have in the summer. Exhaust Fans remove warm air, strong fragrances, and smoke from a room, making them indispensable in kitchens, bathrooms and other rooms in a house or office. 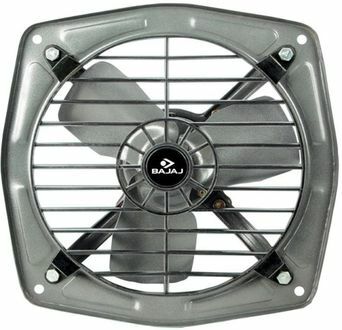 Different Bajaj exhaust fans differ in terms of blade length and other features. 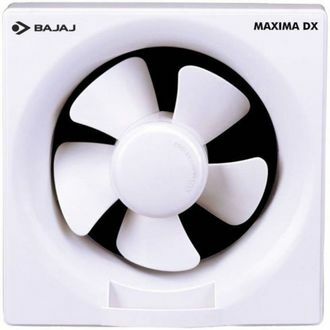 9 Bajaj exhaust fans with 5, 3, or 4 blades are listed in this Bajaj exhaust fans price list at their lowest selling price from stores across India. 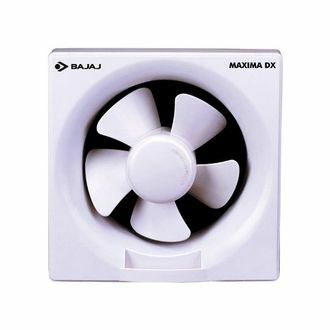 Bajaj exhaust fan prices are updated on an everyday basis from online and offline sellers. 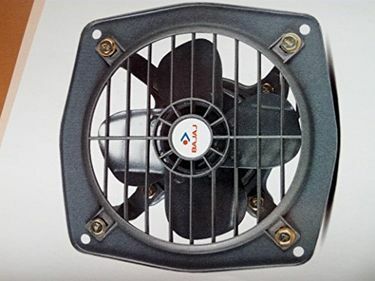 Bajaj exhaust fan prices were reviewed last on 24th April 2019. 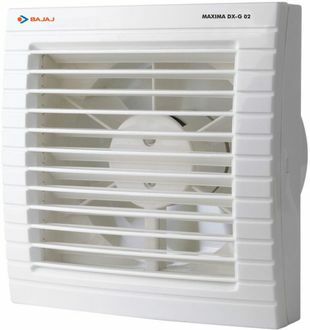 Delhi, Kolkata, Hyderabad, Pune, Mumbai, Chennai, Bangalore are the cities in which Bajaj exhaust fan prices displayed in this Bajaj exhaust fans price list are valid. Tax rates may vary in other Indian towns and cities which may alter prices in other Indian locations.